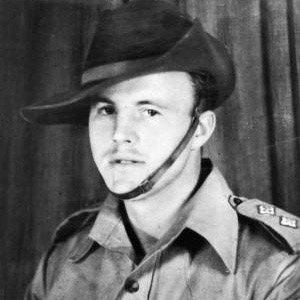 British Army Lieutenant who was awarded the Victoria Cross for running ammunition during World War II while his compatriots attempted to keep enemy forces from advancing. In 1940, he joined the British Army and became a private. He died while protecting his troop by placing himself out in the open to have a better chance of shooting enemy forces. He was born in Catford, London. The Victoria Cross was named after British monarch Queen Victoria.